Swarm removal - How do I know it's a honey bee? 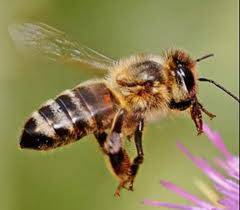 If the insects are not honeybees, go to the information and advice below about what to do. If you would like to report a swarm of bees then please contact one of the swarm coordinator's below for your area who will pass your details to a swarm collector near to you. Please try and have the following information to hand when you call, it will make the situation much easier to assess. I don't think they are honeybees, what should I do? If the insects are not honeybees, this part of the website shows you how to tell other insects apart and what to do after that. Bumblebees are important pollinators. Leave the nests alone if possible. They will die out at the end of summer and will cause no further problems. Bumblebees rarely sting or attack people or animals and should therefore not be disturbed. There are 24 different types of native bumblebee, all of which vary in size and colour. For more information about bumblebees go to the Bumblebee Conservation Trust website, or the Buzz About Beeswebsite. Are there lots of small bees popping in and out of the wall or very small holes in the ground. Do they have a "reddy/brown" bottom? Are they almost black? These are solitary bees, of which there are 225 species recorded in the UK and they post no threat or harm to you, your family or pets. Solitary bees are important pollinators and should be left alone. Their numbers will decrease over the summer and their nests should be left alone. For more information go to Wild About Gardens. Is it bright yellow with black stripes? Very smooth, mainly yellow with black stripes? Is it in the roof of your house? Are they coming from a round nest in a tree? Is there a nest in the shed? Do they have a high pitched buzz? Are they after all things sweet? Then these are probably wasps. Beekeepers are unable to assist in the removal of wasps. Are they very big with a loud buzz? Are they black and brown with a hint of orange? Living in the roof or shed? Do they have a very big curved tail? These are European Hornets and are valuable pollinators usually found in wooden areas. Beekeepers are unable to assist in the removal of hornets.